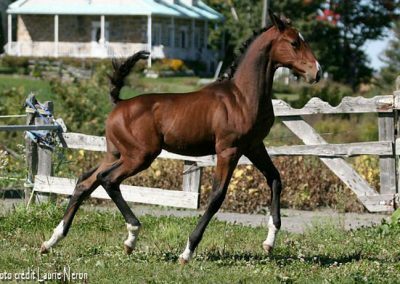 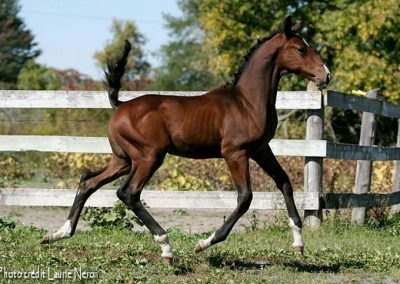 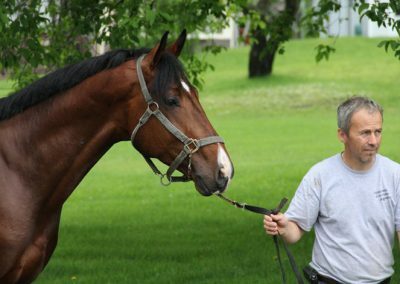 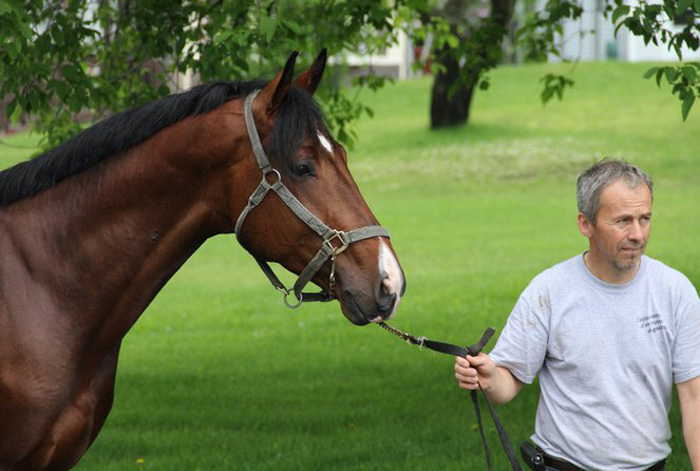 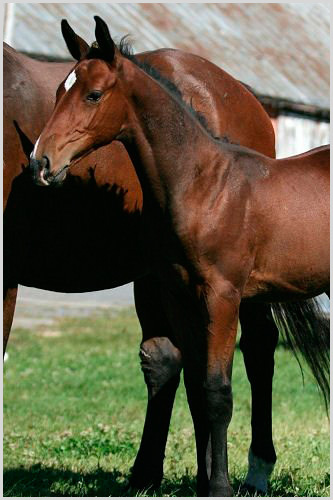 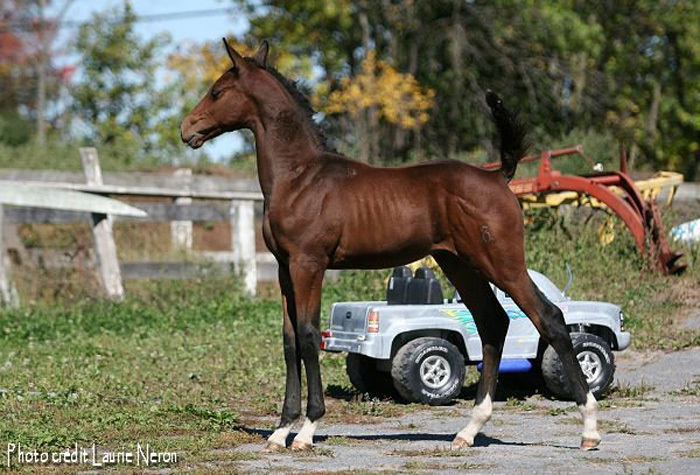 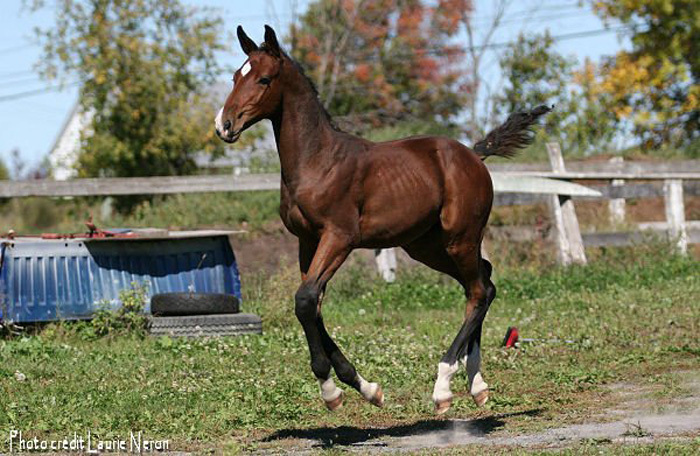 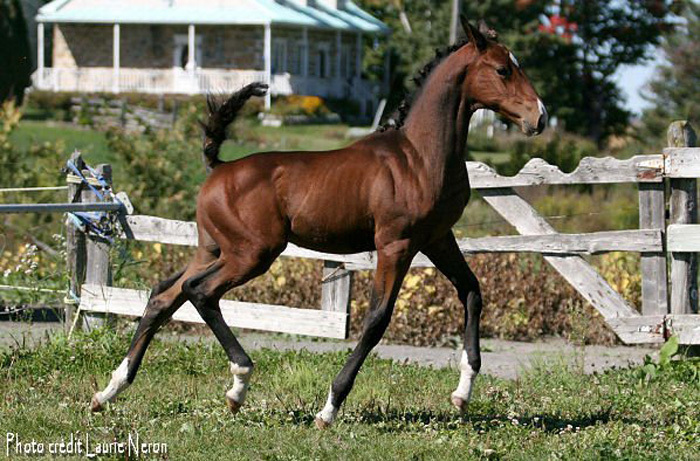 Amaretto FMB is a 2007 Premium Oldenburg colt with the third highest score in all of Canada at his inspection. 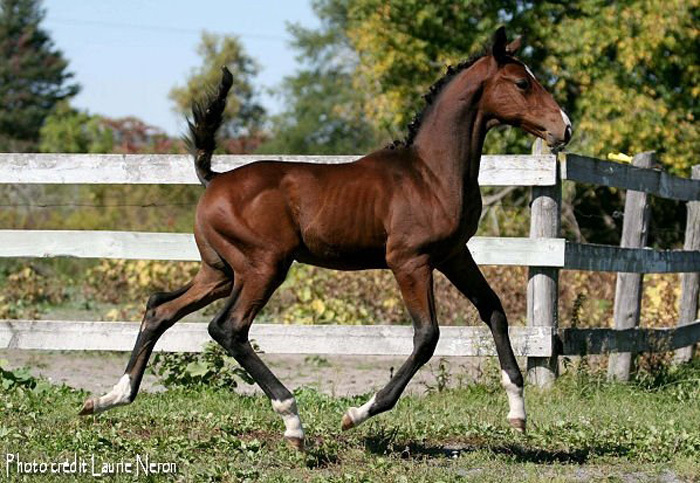 Amaretto is by Aliano out of Lakeland’s Lola (Locato / Landmeister / Rubin). 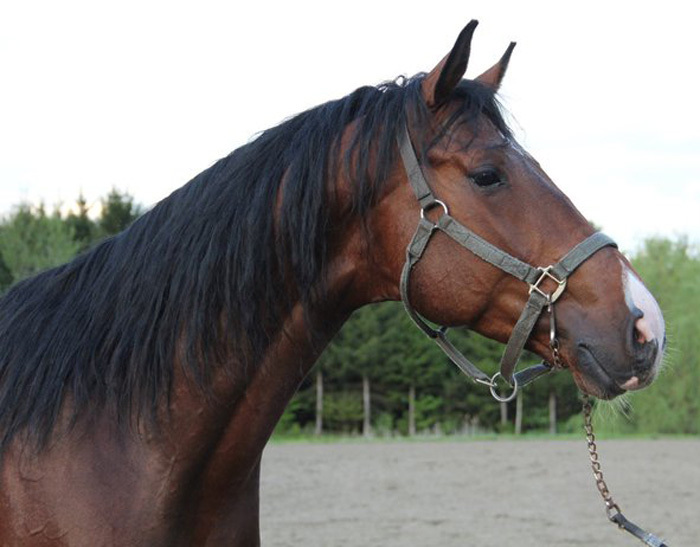 Amaretto is full brother to Axellenty FMB (2005) and Astrid FMB (2010). 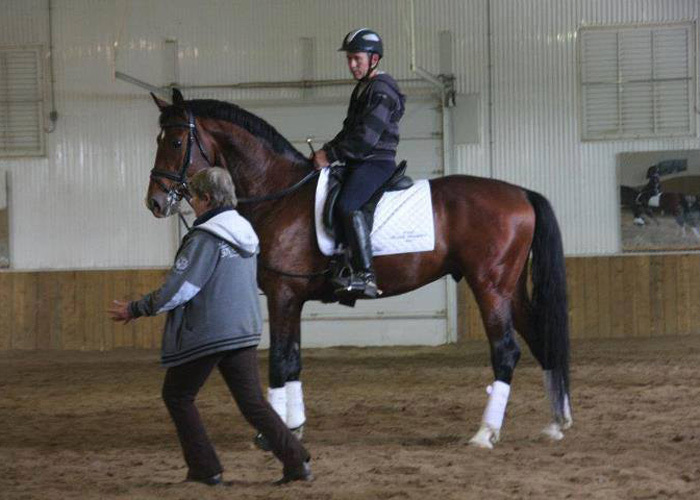 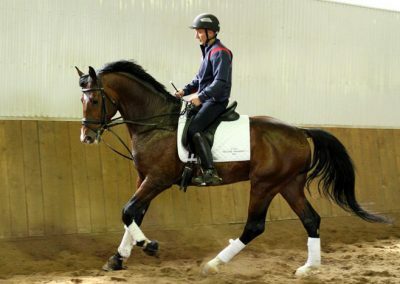 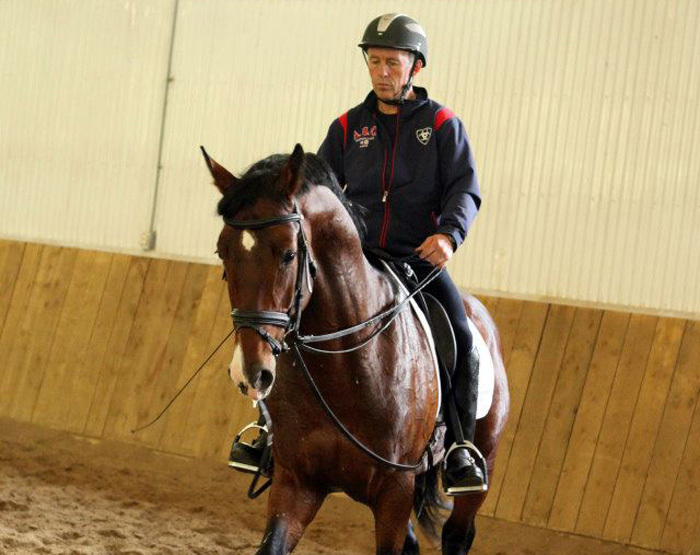 Amaretto FMB’s imported Holsteiner sire, Aliano, was in Grand Prix Dressage training and has competed successfully up to the Intermediare I level. 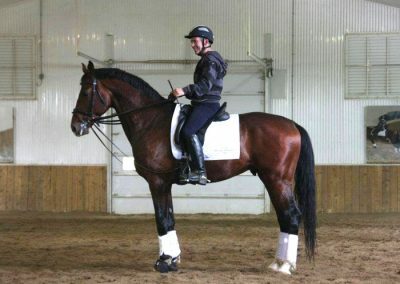 Aliano comes from the famous STAMM 318D2, which has a strong reputation in breeding and sport. It is the direct motherline of the stallions Corofino I and II, Diorado, Diarado among many others. 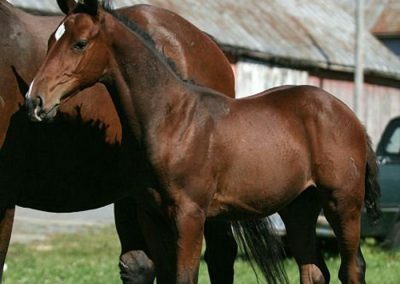 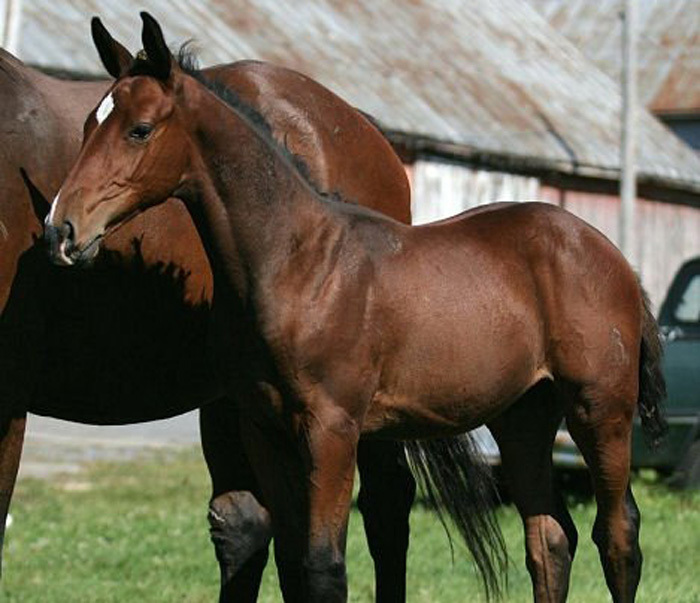 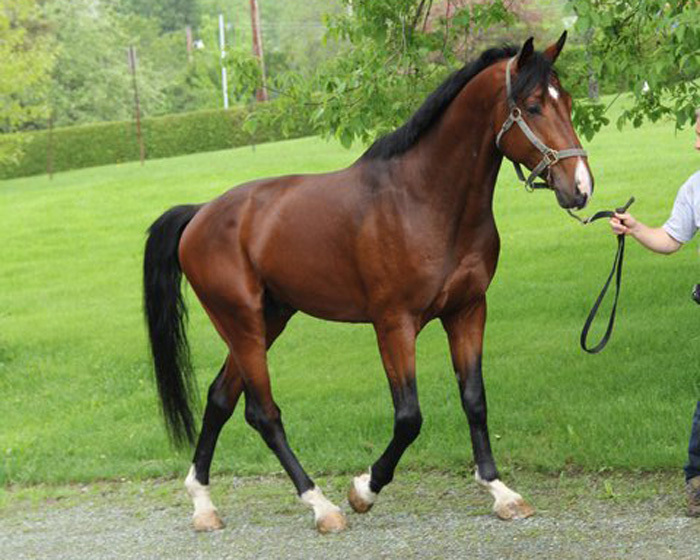 Amaretto FMB’s dam, Lakeland’s Lola, is by Locato – a 1987 16.2 1/2hh bay Holsteiner stallion. 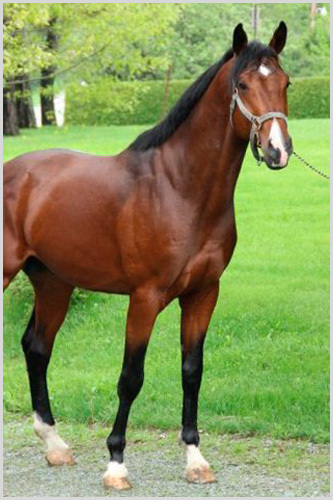 Locato is by Lord, out of a Cor de la Bryere daughter. 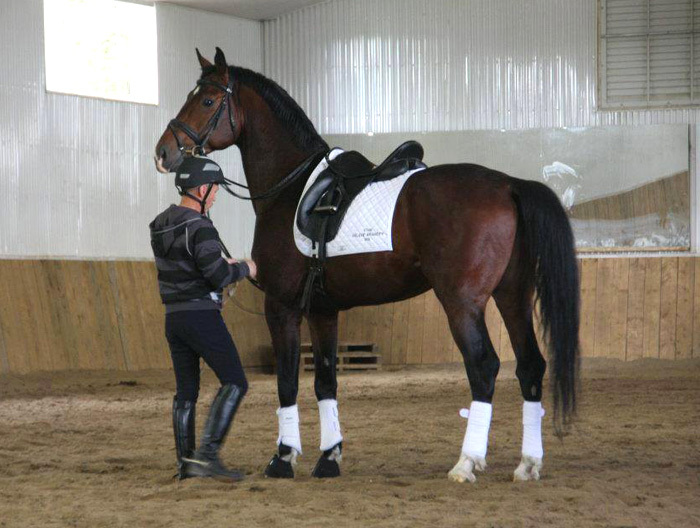 He is sire of the successful Grand Prix horses Eurocommerce Monaco and Lupo Orion. 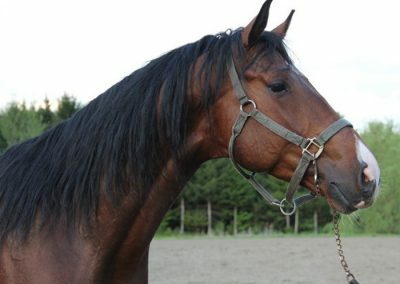 Also in Lakeland’s Lola’s pedigree is the famous “Cor de La Bryere” – a Selle Francais stallion and the 1971 Champion of the Holsteiner 100 Day Performance Test. His incredible bascule and jumping ability is credited with improving the Holsteiner jumping style of today. 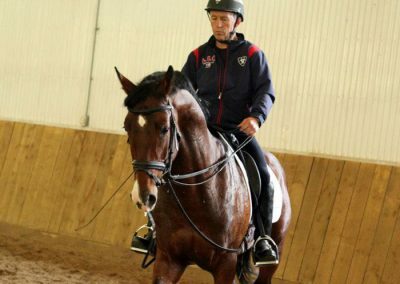 He also passed on his strong nerves, intelligence and great willingness to perform. 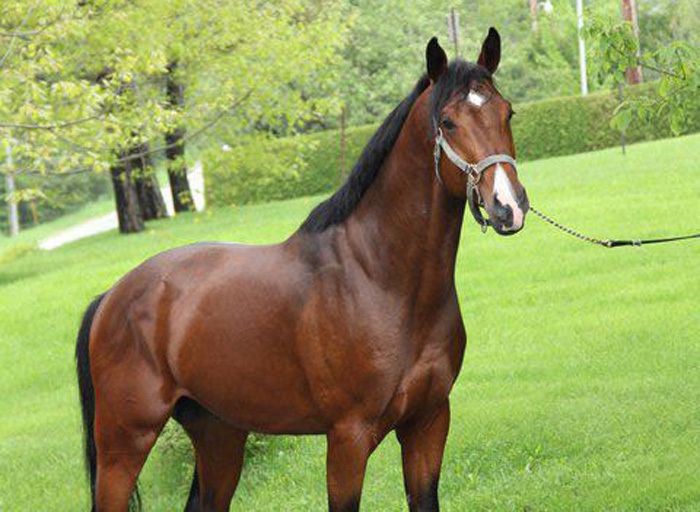 Cor de la Bryère is the stallion that revolutionised jumping horse breeding. 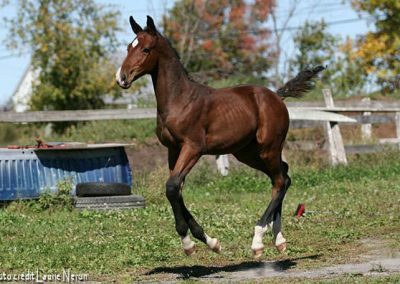 His is the name astute breeders like to see, especially on the mare line for ‘Corde’ tends to give great form over a jump. 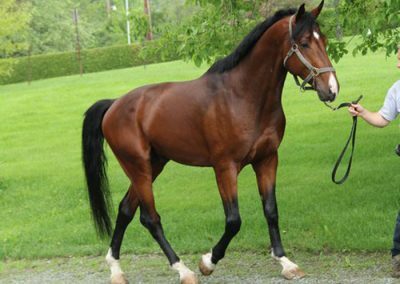 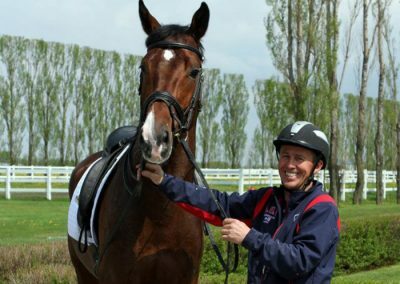 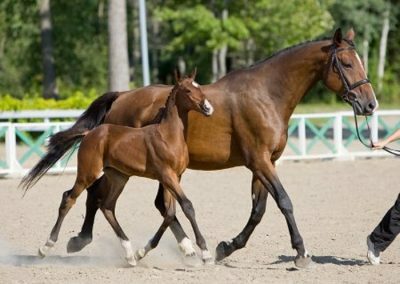 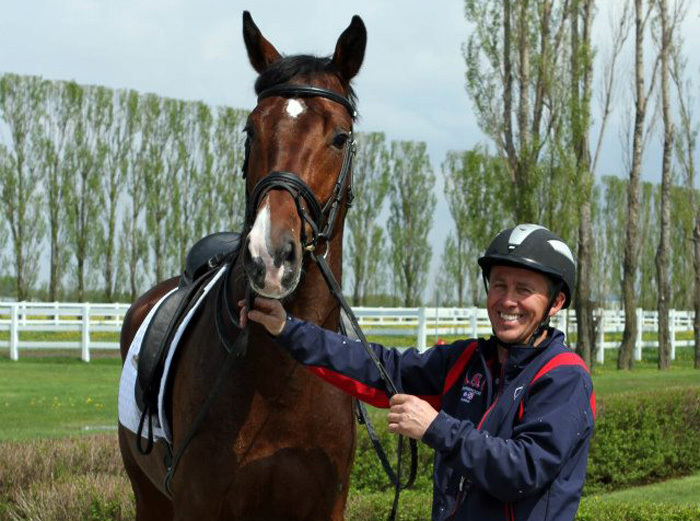 He is one of the most influential sires in modern warmblood breeding. 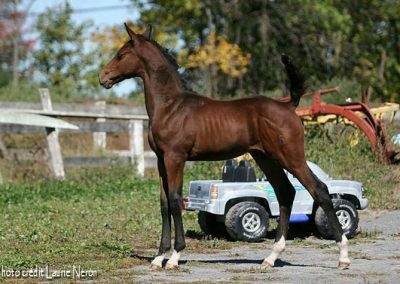 Design by: www.dazzlebydesign.ca | © FMB Farm 2017 - All Rights Reserved.